Do you want to achieve your ideal weight, be healthier than you have ever been before, be a joyful and fulfilled vegan, or all three? Do you care about animals and want to live a life that is more ethical and compassionate? My name is Karen Johnson and I am here to help you make your goals come true! My approach to vegan coaching is a combination of healthy eating, exercise that is fun, stress-free living and vegan education. It is my life’s purpose to help you be a healthy and elated vegan. I have received a Life Coach Certificate and am currently enrolled for the Dr Fuhrman’s Nutritional Education Trainer Certificate. Find Out if Vegan Coaching is for You! When you choose nutrient-dense vegan foods you are giving your body the tools it needs to heal itself. Not only will you achieve your ideal weight, you will feel great and look younger, wake up each morning with more energy, and you are very likely to reverse any chronic illnesses you are experiencing. In short you will transform your life! There is no way around it, your body needs to get moving to be healthy. In fact, it craves it! Often when you think you are hungry or anxious, it is really your body crying out for the endorphins and blood rush it gets from invigorating exercise. Don’t worry, we will find the type of activity that is right for you and together we will design a workout plan that fits into your life. You are a complex being made up of body, mind and spirit and until you find peace in your life and live in alignment with your own moral compass, your mind will manifest stress as dis-ease in your body. Using a combination of stress-releasing and life coaching techniques we will help you find an internal balance. Taking one step at a time, we will veganise all areas of your life including food, health, clothing, socialising and much more. 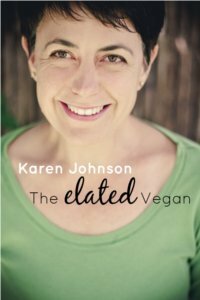 All your practical questions relating to a vegan lifestyle will be answered. 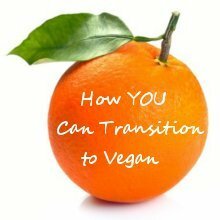 We will convert the road blocks you encounter along the way into adventures by brainstorming solutions that are unique to your situation and creating action steps to help you integrate veganism into a life that is fulfilled and joyful. If you would like to, we will also tackle the deeper issues surrounding vegan values and unravel the mental compartmentalisation relating to animals that you have taken years to construct and which weighs heavily on your mind whether you are aware of it or not. My philosophy values a compassionate and ethical way of living that is centred in the present while being aware of the bigger picture. When we are truly connected with our authentic natures, then being vegan will be the natural next step for us and taking this step will reward us with an abundance of peace and gratitude, which translates into genuine happiness. Do you want more out of your life? Are you looking for someone who will help you live up to your full potential? You can depend on me to be absolutely committed to your journey. My life purpose is to help you live a more fulfilled and happier life. Together we will discover what motivates and inspires you, which goals are truly valuable to you and which you can leave behind. We will set up realistic and exciting action steps for you to take towards achieving your goals and then plot your progress as you begin a journey that will transform your life! This is your journey and you decide where you want to go and how fast or slowly you want to progress. I am here to help you get there. My approach is essentially about introspective, interactive and practical action. It is not enough to simply know something. The magic begins to happen when you have someone who cares enough to support you while you implement change into your life. Do you want to get started right away? 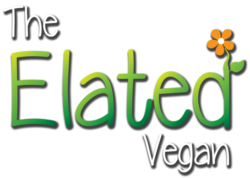 Contact me to schedule a free 20‑minute session and find out more about what Elated Vegan Life Coaching can do for you.